SOUTHINGTON - A New Britain woman arrested in December for allegedly stealing from a disabled man is now accused of violating her probation. 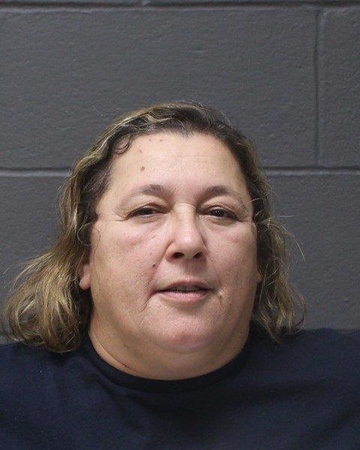 Barbara Nolan, 54, has been accused of stealing two guitars from a Southington man, while she was serving as a personal care attendant for him at his home, according to police. The victim, police said, is paralyzed from the waist down. After Nolan’s arrest in December on one count of fourth-degree larceny, she was arrested again last month and charged with violating her probation. She was sentenced to six months in prison and three years of probation on May 4, 2016, after being convicted of sale of a hallucinogen/narcotic. According to the probation arrest warrant, Nolan admitted to violating her probation on May 11, 2017, after not complying with a condition that she not use or posses any drugs without a prescription. At that time, she was allowed to continue on her probation, which was extended by several months. According to the warrant, the basis of the most recent probation violation allegations was Nolan’s arrest last December. In that case, a disabled Southington man noticed last summer that two guitars - collectively worth $1,500 - were missing from his home. He reported the theft to police and told investigators he suspected Nolan may have been responsible, as he had hired her as a personal care attendant because he needs help for his paralysis. During the investigation, police found that Nolan had sold two guitars to a local music shop, saying they had belonged to a deceased family member. According to police, she returned to the shop to buy them back, telling the employee there she felt guilty about selling them. The disabled man told police he was later given the instruments back, and that Nolan asked him not to press charges. He told police he still wished to pursue the case. Nolan, who is free on $25,000 bond, appeared briefly on Tuesday in Bristol Superior Court. Her case was continued. Posted in New Britain Herald, New Britain, Southington Herald on Tuesday, 20 March 2018 14:13. Updated: Tuesday, 20 March 2018 14:16.